We have a very special new member to the custom visuals gallery: the Dual KPI. 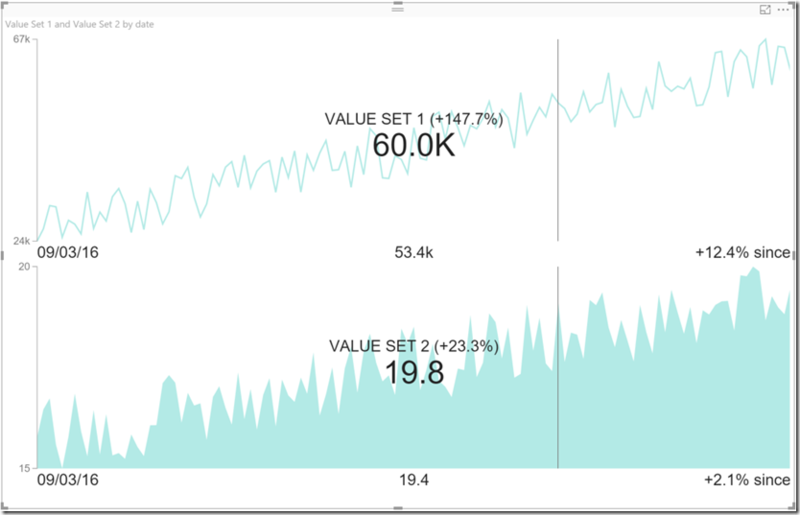 Dual KPI efficiently visualizes two measures over time. It shows their trend based on a joint timeline, while absolute values may use different scales. The reason this visualization is special is because we use it at Microsoft in executive dashboards to monitor usage and user satisfaction for each product, or when an executive wants to keep an eye on two KPIs at the same time (for example Profit and Market share or Sales and Profit). Even Guy in a Cube loves it! 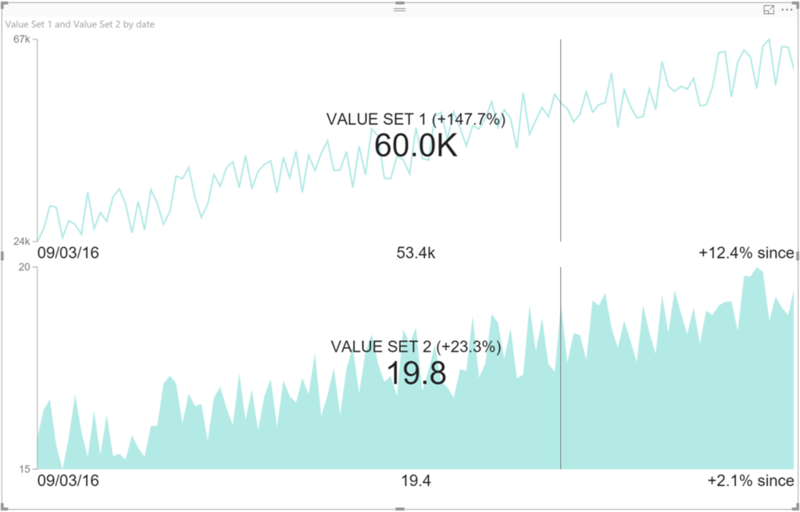 Each KPI can be visualized as a line chart or an area chart, and has dynamic behavior to show historical values and the change from the latest value as you hover over the data points. 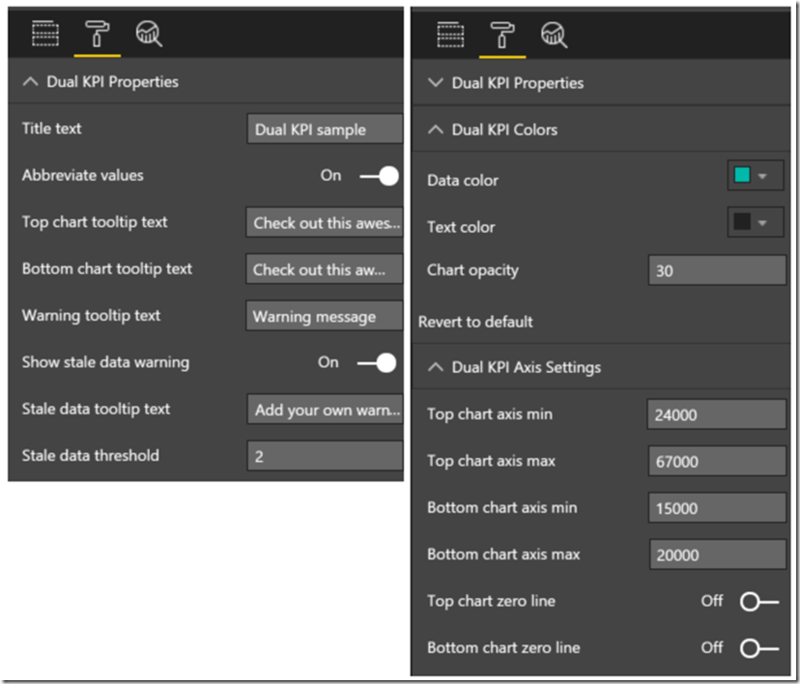 The Dual KPI custom visual also has small icons and labels to convey KPI definitions, and alerts about data freshness. Customize colors, titles, axis properties, tooltips, and more to create visually appealing and functional executive dashboards. 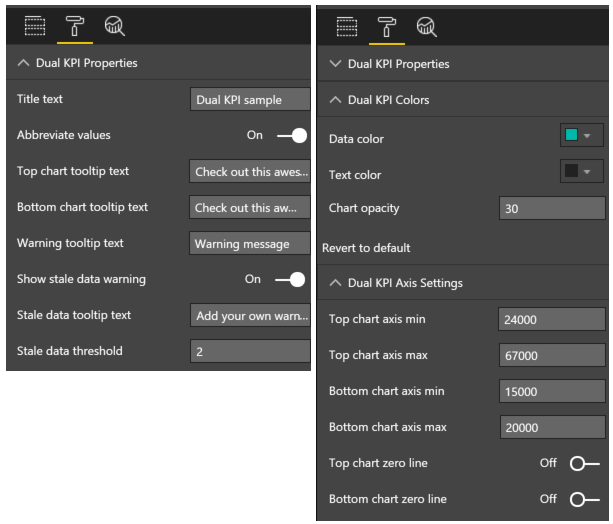 Go ahead and download the Dual KPI visual from the gallery to try it out!